BB week ?? Let's just get this season over with already - Thursday live eviction! 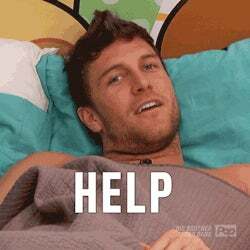 Either Vic or Corey leaves tonight. Maybe boring Corey will leave and continue to bore the jury house? More likely than not Victor is E-victored tonight. Anyone wanna bet that he walks directly back into the house like JMac did last season? I personally am rooting for Day or Bridgette to come back but am not gonna get my hopes up. Can this season just be over already so I can get back to watching stupidly themed seasons of Survivor, pls?